While Lake Michigan provides the sunshine, sand, and summer fun that everyone has come to expect from the area, Michigan winters provide their own brand of fun and adventure when the lake is more fun to look at than to jump in. We've put together a few of our favorite winter activities available right in Harbor Country. Almost as soon as temperatures hit freezing, the nearby skating rinks are ready for you to lace up your skates and get out on the ice. A perfect activity for the whole family, whether you're experienced or just learning. Located in New Buffalo just west of the New Buffalo High School under the New Buffalo water tower. Located on Red Arrow Hwy next to the Chikaming Township offices. Information available on regulations, permits and safety tips at the Michigan DNR website. The State of Michigan requires a $25 trail permit. This permit is good from October 1- September 30. Warren Dunes State Park - 269-426-4013 - offers cross country skiing, but no ski rental. Open normal park hours, 8 a.m. to 10 p.m.
Chikaming Township - 269-469-1676 has several area preserves that offer excellent cross country skiing opportunities. Madeline Bertrand Park – Niles - 269-683-8280 - 3 miles of lighted trails-groomed. Night skiing on Friday and Saturday. Cross Country Ski and Snowshoe Rental available every day but Monday and Tuesday. 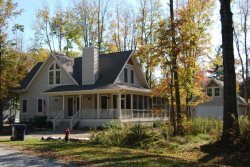 Love Creek – Berrien Center - 269-471-2617 - 6 miles of trails-groomed and lighted. Night skiing on Saturday nights. Cross Country Ski Rental available every day but Monday. Grand Mere State Park – Stevensville - 269-426-4013 - This 371 acre natural area is one of the area's most popular cross country ski sites. There is no ski rental. Sarett Nature Center - Benton Harbor - 269-927-4832 - This unique nature center, located in southwestern Michigan's Berrien County, has five miles of trails meandering through its 800 acres. Both cross-country skis and snowshoes are available for rental, and all trails are open from dawn to dusk every day. Five Pines Tubing Hill - Berrien Center - 269- 471-1396 - Five Pines offers you and your family exciting winter enjoyment on their specially constructed 5-lane, 400-foot tubing hill. Snowmaking equipment provides the best possible conditions. Open to the public on Saturday and Sunday and available for groups’ weeknights. A warming house offers a snack shop, big screen TV and games. Cross-country skiing is also available. St Joseph County Parks - Osceola and South Bend IN . Ferrettie/Baugo Creek Park in Osceola offers a tubing hill and snowshoe rental. St. Patrick's Park in South Bend also has a tubing hill and cross-country ski rentals. Click on 'Leisure Activities' for rates and hours. St. Patrick's trail passes are also honored at Madeline Bertrand County Park. Oselka Park Sledding Hill - New Buffalo - Located just west of the New Buffalo High School under the New Buffalo water tower. New Troy Community Center Sledding Hill - 269-426-3909 - 13372 California Rd, New Troy - Between the community center and the park. Warren Dunes State Park - 269-426-4013 - offers cross country skiing, but no ski rental. Great slopes for tobogganing. Open normal park hours, 8 a.m. to 10 p.m.
St Joseph County Parks - Osceola and South Bend IN - Ferrettie/Baugo Creek Park in Osceola offers a tubing hill and snowshoe rental. St. Patrick's Park in South Bend also has a tubing hill and cross-country ski rentals. Click on 'Leisure Activities' for rates and hours. St. Patrick's trail passes are also honored at Madeline Bertrand County Park.